Infertility, menopause, aging in general. A series dealing with the effects of aging on a woman's body. Natural dye painted cotton fabric, details added with charcoal. Machine stitching on cotton fabrics. 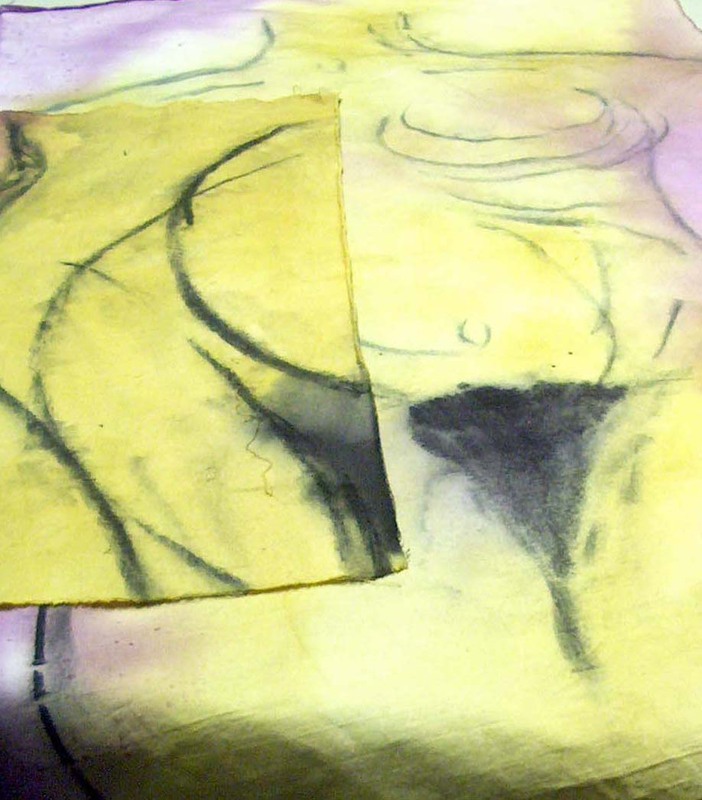 Earth pigments and charcoal on cotton fabric. Machine stitched. Cutch dyed silk chiffon fabric, cotton fabric, machine stitched. Machine stitch on cotton fabrics. Natural dyes painted and printed onto silk charmeuse fabric. Natural dyed silk fabric, machine stitched. Natural dyes on silk crepe de chine crinkle fabric. Machine Stitched.